(St. Paul, MN) - This note comes to us from the MN Beer blog. It seems Summit Brewing is celebrating 25 years of brewing. They are further celebrating this with a 25th anniversary beer called Silver Anniversary Ale. In any case, what better way to celebrate 25 years with a special release? 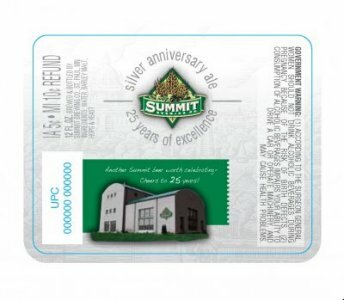 Summit’s Silver Anniversary beer is an assertively hopped version of their flagship EPA. The beer will be brewed with 2 row and crystal malts, American ale yeast and Citra, Centennial and Cascade hops and weighs in at 6.5% abv and 80 IBUs. I’m looking forward to trying this… and forward to another 25 years of Summit. Congrats guys!